Force Majeure criticizes the modern family in a colorful and challenging way. Using CI effects director Ruben Ostlund succeeds to create high impact on the viewer. The movie is a truly inspiring, thought-provocative work, and a great example of contemporary cinema. What makes it special and distinctive is that it offers to the viewers more than one option to interpret the events described. 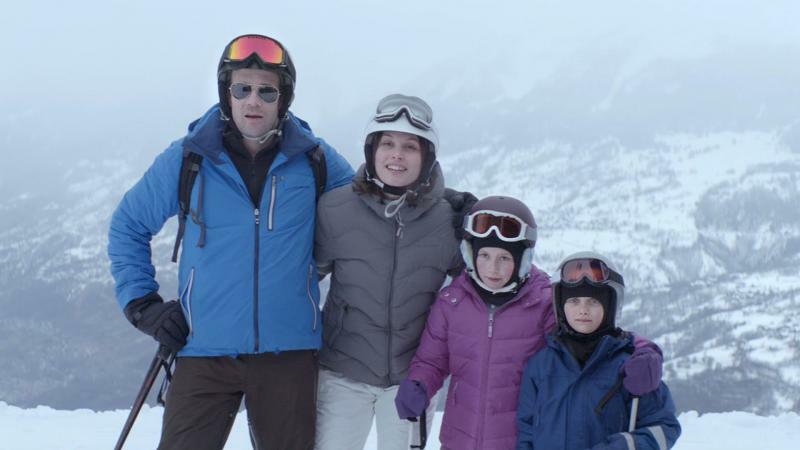 Force Majeure tells the story of a Swedish family going on a ski vacation in the French Alps. Everything is perfectly normal until a controllable avalanche strikes and shatters the family comfort. The plot reflects on the small things that impact our lives and relationship with other people. This Palm Dog Award-winning film is a production of Hungary, Germany, and Sweden. Some may recall, there is a 1982 movie with the same title about a vicious German Shepard trained to attack people with dark skin color. 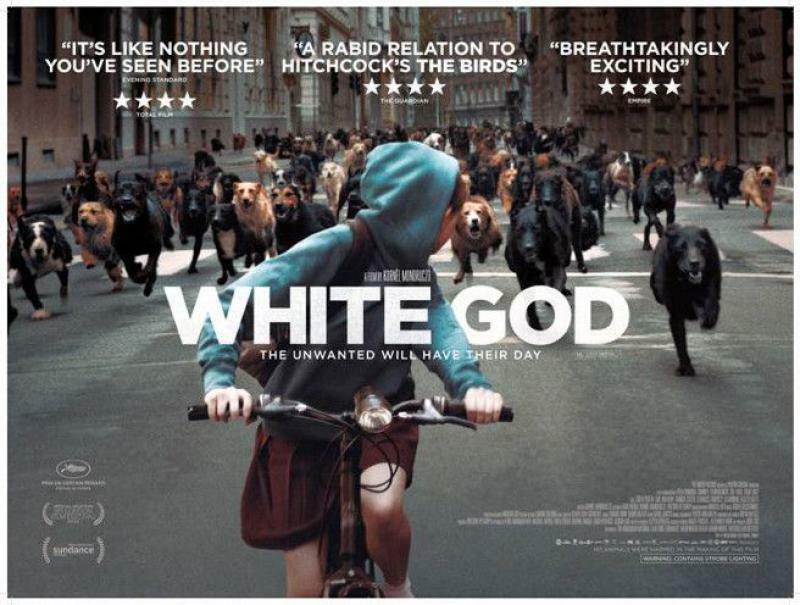 2014’s White God is also about a dog, but it stands very far from posing any racism questions. Director Kornél Mundruczó gives a brilliant story with certain level of suspense and powerful visual effects. Considering the delicate nature of the subject reflected, the cinematic approach may be defined as highly innovative. White God is an insightful and touching drama about the affection between a girl named Lili and her dog Hagen. The Hungarian government passes new dog ownership-related law policy imposing severe limitations on people who keep mixed-breed dogs. Lili is devastated to find out that her father facing a heavy fine, have let Hagen out on the streets. 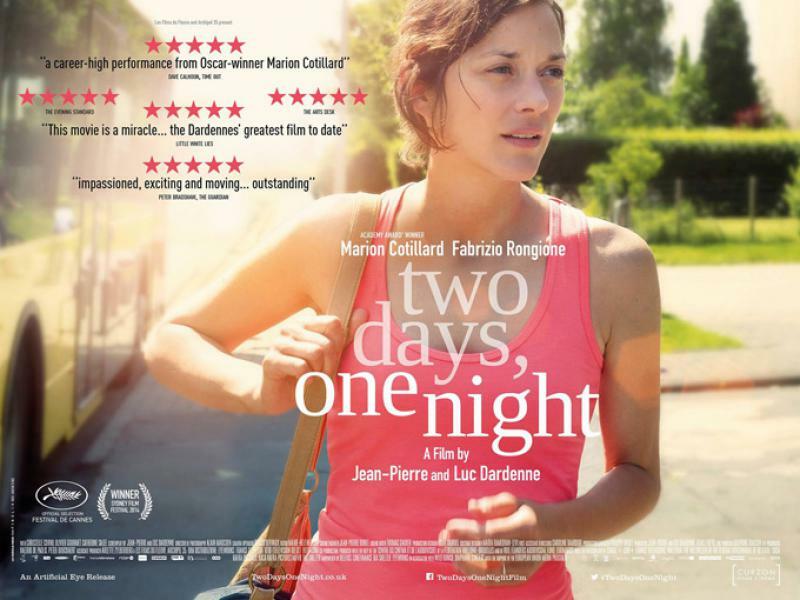 Two Days, One Night is an insightful slow paced drama directed by Jean-Pierre Dardenne, Luc Dardenne. It tells the story of a young Belgian woman Sandra who is going through hardships. Not only is she struggling with depression, but, in the meantime, she finds herself in the prospect of going jobless after the vast of her co-workers have opted for a €1,000 bonus in exchange of her dismissal. Sandra has less than a week to talk her workmates into giving up their bonuses so she would keep her job. Given how mercantile today’s people are, this sounds like a mission impossible. Marion Cotillard plays Sandra and she shines with talent. Being the heart and soul of this film, Cotillard manages to deliver an outstanding performance. Although the plot is simple, Two Days, One Night remains original; the story is realistic, everyone could relate to it, and Cotillard's performance makes it even more emotional and charming. If you somehow ever doubted her as an actress, with this character she will blow your mind, without doubt. Directed by Christian Petzold, the film can be defined as a true masterpiece. Set months after the end of World War II, the plot follows the complex story of a concentration-camp survivor Nelly Lenz, who has recently escaped from Auschwitz. At the beginning we see her all wrapped in bandages travelling to Switzerland with a female friend. For the time Nelly was in the concentration camp, she was brutally tortured and her face has been disfigured. Nelly is about to meet a plastic surgeon in Switzerland for a face-reconstructing operation which will make her unrecognizable. Moreover, she wants to find her husband a she believes it was him who betrayed her to the Nazis. Phoenix is a tensed film noir and some events seem a bit Hitchcock style. Actress Nina Hoss gives extremely powerful performance playing Nelly Lenz. 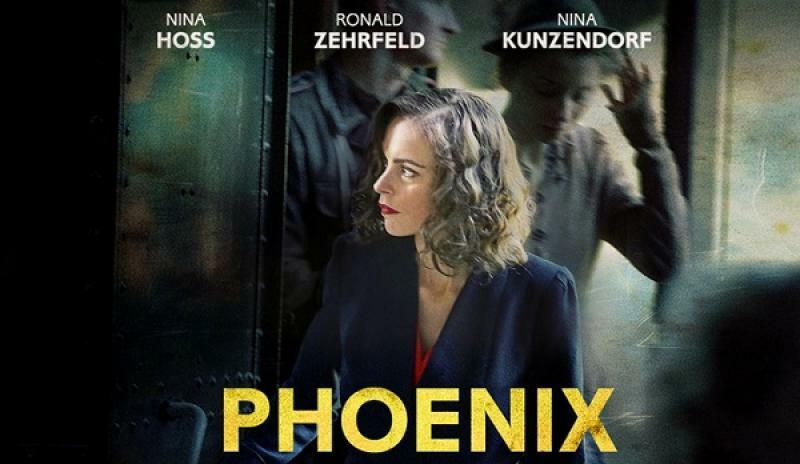 With award-winning films like Barbara (2012), Jerichow (2008), Yella (2007), Gespenster (2005) and Wolfsburg (2003) Christian Petzold has already built himself an image of a leading figure in the modern German cinematography, and his latest work Phoenix gives another good reason to be very proud of himself. The film also features Ronald Zehrfeld (as Johannes) and Nina Kunzendorf (as Nina’s friend Lene). This modern love story, directed by Carlos Marques-Marcet, reflects on the major issue of how to maintain a long distance relationship. Even though the plot is not that original, the film deserves credit because the story of love is delivered in a highly gripping way and viewers can learn a lot this time. We live in the modern age and technology takes great part of our lives. We use daily Skype, Facebook as well as other useful mobile applications that make our routine easier and help perform well at work. However, when it comes to intimate contact, will technology and the Internet be the right tools to maintain a healthy relationship? The plot centers on the lives of two people in love who live in separate countries. One is based in Barcelona and the other - in Los Angeles, so the big question is: will their love go the distance. 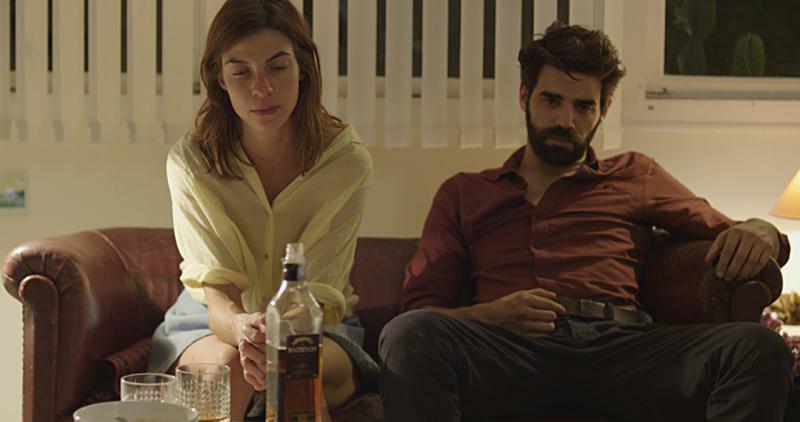 Natalia Tena and David Verdaguer play the principal characters of Alex and Sergi in this moving and inspirational drama. Don’t miss to read five more worthy tiles in PART ONE of out list. ...All the Rhinestones you think out can be bought in my shop.